This was a book that I had to read for a class (adulthood and aging). It was a good read, but made me cry! I think that aging is something that not too many people plan for - but this book really helped to open my eyes to the thought that Alzheimer's could happen to anyone! I really appreciated how honest and frank the author was about his disease. I was led to believe that this book was about Alzheimer's Disease. I was extremely disappointed by the book, and wish I had not wasted my money. I found only 2 chapters that really had any significance as far as reading about the disease. Instead I read about the author's problems with faith as he progressed through the disease. Also, I could have cared less about his "exalted" past and what a great guy he had been until he became ill. I am sure the author had honest intentions.However, this is a book extolling his faith, which may be helpful for those who need a spiritual boost.If you are trying to learn about AD, search elsewhere. This is perhaps the first book written by an Alzheimer's victim while he still could communicate by computer (speaking or handwriting had already left his abilities). Because he was such a student and avid reader all his life, he tells what Alzheimer's is like from the 'inside.' Until he wrote, we largely relied on caregivers' experiences in caring for a loved one to describe the journey from an outsider's perspective. I gave this book to a person who had had multiple little strokes, and after reading it, she agreed about the 'black hole' described by the author. So, in dementia memory loss, there are some similarities between the types, though from different causes. I can't recommend this book too highly. I recently purchased this copy to give to a woman who's in the frustrations of early Alzheimer's in her husband. 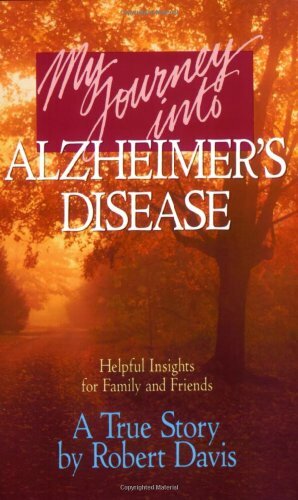 I began and led an Alzheimer's support group for 14 years when Alzheimer's was just emerging into the foreground back in the 80's, and when this book came out, it was a real God-send and tool for families. When you can get into someone else's skin, it gives a whole new meaning to why they do and behave, and makes caregiving expectations more reasonable. Not necessarily easier, but more reasonable. This is a very rare account because most people are probably so angry and despairing when they realize they have Alzheimer's that they retreat inside themselves or rage as their memory slowly goes. Davis exhibited a great deal of courage as he wrote a detailed account of the advance of the disease. One reviewer was angry that he included his faith in the account. Surely anyone who is facing a terminal disease has the perfect right to include their spiritual beliefs in any memoir they decide to write. This is a powerful book and any family with a member facing Alzheimer's would do well to read this book and find courage and comfort. This book contained some very helpful advice on dealing with Alzheimer's patients.I must admit, however, that it made me feel inadequate.I would love to be the caring, loving, ever-patient caregiver, but that is not my reality.The person for whom I'm caring is irascible, stubborn and impatient, and I frequently run out of patience.That said, this book is still a very valuable resource for families caring for an Alzheimer's patient. My husband (a neurologist) and I own a company that educates both family and employed caregivers on how to appropriately interact with dementia patients, a mission born out of our experience with numerous loved ones with dementia. This book is the best I have found to recommend to caregivers.It is written by a woman whose husband was diagnosed with AD in the early 1970's while he was in his 40's.There were no resources available at the time, so she had to develop her own caregiving methods.In the intervening years, she has refined these methods into an life-affirming approach to care that promotes the dignity of the individual.It gives tried and true techniques for dealing with things like combativeness, independence, dressing, bathing, eating, wandering, etc. --- all the major issues faced by caregivers.It is a relatively short and easy read, but packed with useful information.I give it my highest recommendation. Actually helpful when so little is. As many other reviewers have noted this book seems to be the most aware of the realities of the lives of caregivers. I am an only child. My mother passed away in 1998 and my father has been slowly spiraling down alzheimer's since then to the point where he requires 24-hr-care. May other books assume a family perspective and are not sensitive to those who find themselves to be the sole caregiver. I have also been helping my father through this since my early 20s and many other books are also not sensitive to the fact that those who are not of the boomer or "sandwich generation" may still find themselves in the role of caregiver. This book offered actual strategies I was able to use to improve communication with my father. It also is the only book of the many Alzheimer's books I have read that made me feel better, not worse, after reading it. My copy is so creased and dog-eared after about 4 years of use that I may need a new one soon! I wish love and strength and energy to all those who find themselves seeking this book. If you are seeking for someone else, please get them this book. Written for patients, their families, and caregivers, the practical information here will help readers understand what is physically happening to the brain so they can empower their own special skills and talents throughout the disease process. 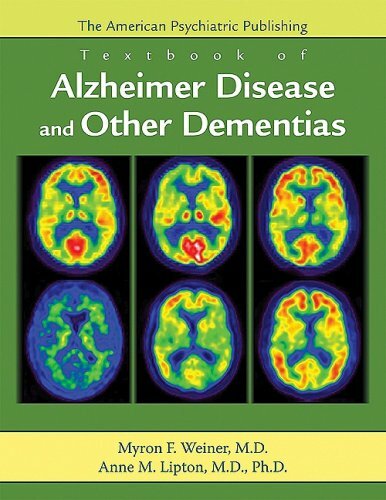 The book is divided into three sections that correspond to the progression of Alzheimer’s, and the unique challenges encountered at each stage. *Section B:Q&A for caregivers, including legal and financial issues, medication, helping children understand, handling the holidays and more. I bought this for my mother due to her husband having the beginning stages of dementia and alzheimers.I read it quickly before passing it on, however she has told me that it has helped her immensely. I bought this book to share with my Hospice Volunteers. It has a lot of great information for anyone working with or living with someone with Alzheimer's. The pie charts that show the disease's progression were spectacular. The tips were well organized and succinct. I highlighted much in this book, to use as a handy guide and reference. It was an eye-opening experience to read about bizarre behaviors that I thought were unique to my 91 year old Godmother. As I learn more about this awful disease, I now see and understand she is exhibiting classic symptoms of advanced Alzheimer's. It helps to know that her behaviors are not directed at me as I originally thought, but that she is sick. If you think you are alone and there is no escape, you must read this book. I finished in less than a couple of hours. Best investment of my time and money that I have made in a long time. 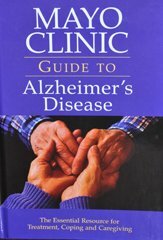 I purchased 3 books on Alzheimer's from Amazon. This one is helpful for all the tips and suggestions. It covers resources available, suggestions on how to handle legal matters, and many other issues. It's very important for the caregiver of an Alzheimer's patient to have this type of information. “Most of us will either get Alzheimer’s or care for a loved one who has. This action plan can empower you to make a difference.”---Mehmet C. Oz, M.D. What would you do if your mother was having memory problems? Alzheimer’s is a disease affecting more than five million Americans, with a new diagnosis being made every seventy-two seconds. Millions more are worried or at risk due to mild memory loss or family history. Although experts agree that early diagnosis and treatment are essential, many people with memory loss and their families---and even their doctors---don’t know where to turn for authoritative, state-of-the-art advice and answers to all of their questions. 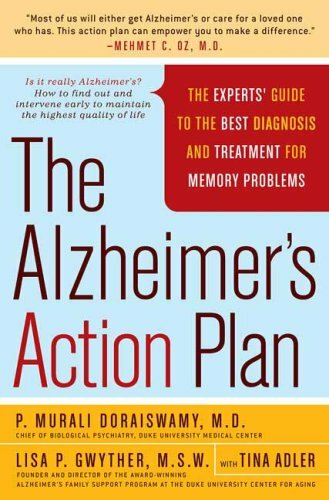 Clear, compassionate, and empowering, The Alzheimer’s Action Plan is the first book that anyone dealing with mild memory loss or early Alzheimer’s must-read in order to preserve the highest possible quality of life for as long as possible. This should be the "go to" book for anyone interested in learning more about ALZ and the diagnosis & treatment options being used today. Great book with lots of answers to common questions. This book is a blessing. It covers every subject you'll ever search as you research Alzheimer's. 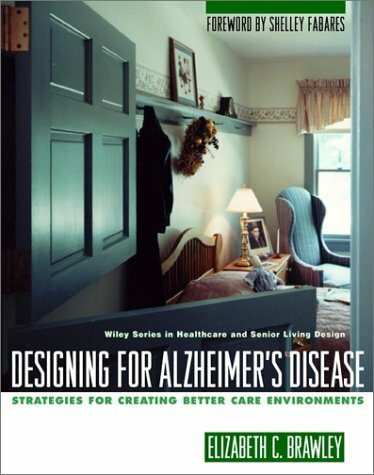 If you're a care-giver or partner of an Alzheimer's patient, this book is a must-have! It includes diagnosis and symptoms, guides for better understanding and care, and treatments for some forms of treatable dementia. 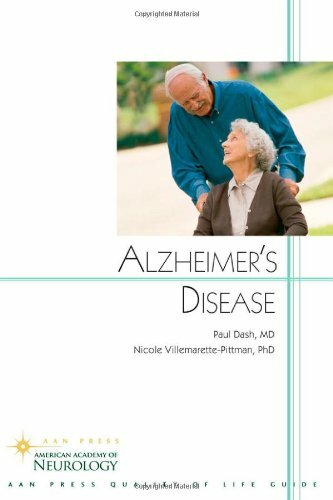 You'll feel informed about dementia and Alzheimer's after reading this book. This book has it all.It explains all kinds of memory problems, not just the big A.It gives you info for meds, drs, testing, and so many other things.This is the first book I liked as soon as I started reading it.If you need to know something, it's in there. All the reviews above I would repeat; however, I was disappointed that the book did not address the constellation of problems that can affect the elderly Alzheimer's patient. Many of the suggestions given in the book would not work for my mom, who was nearly blind, wore hearing aids, and had COPD severe enough to limit her mobility. I had been a caregiver for fourteen years to my dearest friend with Alzheimer's, and know what this disease does, from diagnose to ending death. 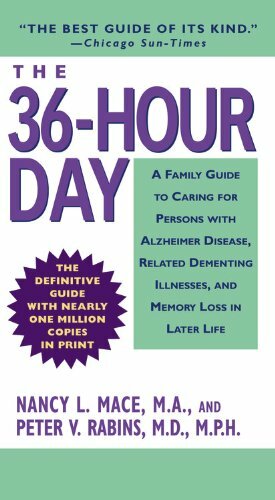 I've worked with Alzheimer's victims, and their caregivers, and know how helpful this book would be to anyone around the disease. This book takes your through medications, clinical trials, stages of the disease, and much more. It is a caregiver's handbook.I have never come across a book that is so easy to understand, for the professional and non-professional. It's about time something like this has come out. I'm sure this will help a lot of people.Just look at some of the captioned reviews. Revised in 2006 for its twenty-fifth anniversary, this best-selling book is the "bible" for families caring for people with Alzheimer disease, offering comfort and support to millions worldwide. 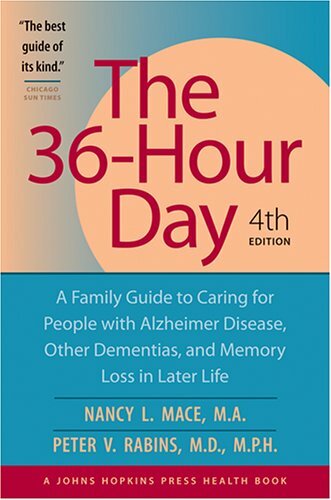 In addition to the practical and compassionate guidance that have made The 36-Hour Day invaluable to caregivers, the fourth edition is the only edition currently available that includes new information on medical research and the delivery of care. My copy of this book is threadbare. I took care of my Mom with Alzheimer's until she passed away 3 years ago. A single day with an Alzheimer's patient is filled with questions, all day long. You feel as though you're losing your mind with all the odd behaviors, forgotten memories and constant repetitions. When you read this book, it suddenly makes sense. It helps the Caregiver understand that it isn't their fault, that they are doing enough, that they shouldn't feel guilty and it is all right to live normally, despite the sorrow of the patient. A fantastic book! Perfect for the Caregiver and family members. It brings understanding of such a sad disease. This book is fantastic. A must have for all caregivers caring for loved ones with dementia. It has been called the caregivers bible. I wish I had bought the book earlier. I think everyone who has a family member with Dementia should be required to read this book. My mother was recently diagnosed with Alzheimers and this has helped me to understand what she is going through. I've completed the book, but still turn back to parts as it serves as a handbook. It's almost like a mini-support group. It was recommended to me by a friend who's mom went through what my mom is going through now-and together we understand better the trials and tribulations of such a cruel disease, but also know how to make the best of the situation. 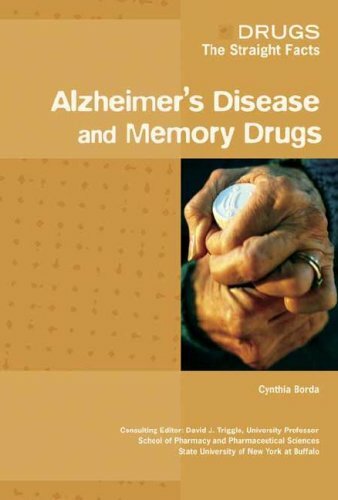 Undoubtedly one of the most user friendly books about dementia and alzheimer's disease being published. It has been around for a number of editions and just keeps on being more informative. Taking care of a dementia or alzheimer's individual can be a very taxing job. If you are not working and do the caregiving full time is one thing but if you work full time and have to come home to someone in need of assistance it can be totally overwhelming. This book gives you information, ideas and support during this period for not only your life but the one you are taking care of. You can't do it all on your own and The 36 Hour Day helps you not only realize this but gives you basic information, addresses and organizations to help you and your loved one cope.I used this book while taking care of my mother for four years and have now had to purchase the new 4th edition for my life partner who has been diagnosised with this emotionally charged disease. If you buy no other book on the subject, please believe me when I say that this is the one book you will find most helpful. And, remember take time for yourself - it's the most important thing you can do for yourself.The alzheimer's patient has been set free - it's your responsibility to realize this and look towards the your own future without feeling guilty. I just purchased this book, and am still reading it.Thus far I am finding it very informative and helpful for the professional who works with AD patients, and also the caregiver at home who needs assistance coping with the adjustments of finding suitable activities of the Alzheimers person.I was hoping that the book would give more information on how to acquire the Life Story of a patient, and how to utilize that specific information in activities to the utmost therapeutic manner.I know that some Day Care Centers are utilizing "The Best Friends" approach to therapy, and have a Life Story "FILE" that staff and volunteers can easily access to get info or add data regarding the participants lifetime events.I'm looking for ways that facilities are utilizing the Life Story, specifically the types of files that store the stories. This book is answering lots of questions I had about a very complicated disease that puzzles many people in our country.Alzheimer Disease continues to increase and is expected to increase in numbers of people, in the future. We desperately need more uptodate research on this important mental degenerative disease. This is the bible of dementia care.It literally has everything you need to know about helping demented individuals, and then some.A definite must read for the caregiver, nurse, or anyone on staff at a nursing home, from dietary aide to administrator.Truly amazing book. Receiving a diagnosis of Alzheimer’s disease profoundly alters lives and creates endless uncertainty about the future. How does a person cope with such a life-changing discovery? What are the hopes and fears of someone living with this disease? How does he want to be treated? How does he feel as the disease alters his brain, his relationships, and ultimately himself? Richard Taylor provides illuminating responses to these and many other questions in this collection of provocative essays. Diagnosed with Alzheimer’s disease at age 61, the former psychologist courageously shares an account of his slow transformation and deterioration and the growing division between his world and the world of others. I've read many books about Alzheimer's.This one is the very best.Dr. Taylor is articulate and introspective and provides amazing insights into the daily struggles of living with this disease.It's a must read for all caregivers and for patients in the early stages of the disease. This is an excellent book to help those of us who have a loved one with Alzheimers better understand the thoughts, feelings, concerns and fears of a person dealing with the disease.We need to have so much compassion for the victims of this disease.Wonderful book! 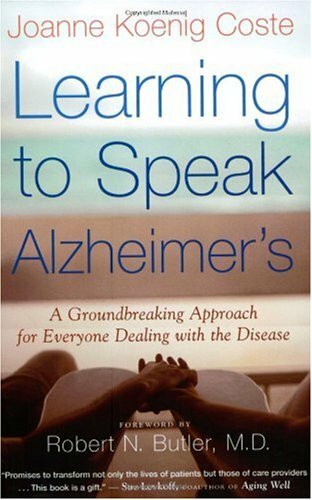 This is probably one the best books I've read, and I read a lot.My mother recently died of complications of Alzheimers.This book reflects many of the struggles she talked to me about including how to retain her sense of self and some feelings of competency.I appreciate his emphasis that everyone's experience with dementia is different and this book presents his experience. I was dazzled by the books simplicity and glad to get a preview of some of the things I need to think about for myself and my husband.In the old days there was little literature from a cancer patient's perspective.Now there's a plethora of books by cancer survivors.The nature of Alheimers makes it less likely that there will be a glut of well crafted books providing the perspective of those suffering from the disease.Kudos to this author for taking it on and doing the delicate balancing act of performing while having a disease that impacts performing. My Mother has Alzheimer's and this book was very helpful in helping me to understand how she sees and thinks about things.She isn't able to tell me what is going on in her mind at all.I learn the most when I listen to her talk to herself in the mirror.But this book, written by someone who actually was documenting how things were feeling to him, was very helpful.I have been able to get closer to my Mother now.I picked up several ideas on how to communicate with her since reading the book.This has been one of the most helpful books on Alzheimer's I have read.Another book that I really liked is "Still Alice." Dr. Peter Whitehouse will transform the way we think about Alzheimer’s disease. In this provocative and ground-breaking book he challenges the conventional wisdom about memory loss and cognitive impairment; questions the current treatment for Alzheimer’s disease; and provides a new approach to understanding and rethinking everything we thought we knew about brain aging. What is the difference between a naturally aging brain and an Alzheimer’s brain? How effective are the current drugs for AD? Are they worth the money we spend on them? What kind of hope does science really have for the treatment of memory loss? And are there alternative interventions that can keep our aging bodies and minds sharp? What promise does genomic research actually hold? What would a world without Alzheimer’s look like, and how do we as individuals and as human communities get there? Backed up by research, full of practical advice and information, and infused with hope, THE MYTH OF ALZHEIMER’S will liberate us from this crippling label, teach us how to best approach memory loss, and explain how to stave off some of the normal effects of aging. Peter J. Whitehouse, M.D., Ph.D., one of the best known Alzheimer’s experts in the world, specializes in neurology with an interest in geriatrics and cognitive science and a focus on dementia. He is the founder of the University Alzheimer Center (now the University Memory and Aging Center) at University Hospitals Case Medical Center and Case Western Reserve University where he has held professorships in the neurology, neuroscience, psychiatry, psychology, organizational behavior, bioethics, cognitive science, nursing, and history. He is also currently a practicing geriatric neurologist. With his wife, Catherine, he founded The Intergenerational School, an award winning, internationally recognized public school committed to enhancing lifelong cognitive vitality. Daniel George, MSc, is a research collaborator with Dr. Whitehouse at Case Western Reserve University in Cleveland, Ohio, and is currently pursuing a Doctorate in Medical Anthropology at Oxford University in England. “I don’t have a magic bullet to prevent your brain from getting older, and so I don’t claim to have the cure for AD; but I do offer a powerful therapy—a new narrative for approaching brain aging that undercuts the destructive myth we tell today. Most of our knowledge and our thinking is organized in story form, and thus stories offer us the chief means of making sense of the present, looking into the future, and planning and creating our lives. New approaches to brain aging require new stories that can move us beyond the myth of Alzheimer’s disease and towards improved quality of life for all aging persons in our society. It is in this book that your new story can begin." -Peter Whitehouse, M.D., Ph.D.
At first, I thought this was going to be a fraud; someone trying to sell a snake oil book about Alzheimer's. So, rather than buy it or skip it, I did some online searches about the book and the author and found that it was a book worth having. We assume that the medical fields all know what they are talking about. Alzheimer's is not one thing, it is many related conditions. One person's mental decline will be different in its time line and symptoms. It is what it is and that is about all we can say. First a complaint: the book is repetitious. The first fifty pages, in particular, could have been cut by half, as the authors' central message is repeated, and repeated again. Nonetheless, that message is vivid and germane for anyone looking after someone whose brain is under attack--or simply aging, as Peter Whitehouse and his cohort Daniel George put it. I only wish I'd read The Myth of Alzheimer's when I was taking care of my father in the last year of his life. My father's diagnosis, a common one I'm sure, was "Advanced second-stage dementia, most likely caused by Alzheimer's." I think Whitehouse's book would have confirmed my own instincts: that medications were unlikely to be of much help to my father, and that my job was to care for him, allowing him as much dignity as I could offer and as much warmth as he'd accept. He was prescribed Aricept and I gave it to him, but it seemed a frail defense against a powerful tide of memory loss and confusion. As Whitehouse puts it, most people in the Alzheimer's empire know that "there is no singular disease called `AD,' and that it is a complex, scientifically imprecise social construct that may never be cured." And because of this, we would do better to focus our efforts on enlightened care than to pour all our money and attention into finding a cure for this little-understood disease--if indeed Alzheimer's is a disease at all, rather than simply an effect of brain aging. In the last three decades, establishing cognitive deterioration and disability in the elderly as a disease, rather than the result of a natural process, has been vital to both researchers and drug companies. As Whitehouse explains it, "In order for their research to be taken seriously by those who controlled the public coffers, it was clear that their efforts had to be targeted at something other than the vague process of aging. Their work had to be focused on something real and immediate, something awesome and imminent--a specific disease worthy of massive research efforts into its cause and cure, a `disease of the century.'" It helps, when making these charges, that Whitehouse is clear about his own role through the eighties and nineties, as one of those neuroscientists who embraced and formulated Alzheimer's as a disease, almost as a plague. He has since seen the light, and is extremely persuasive about it. There is much science and clear history in this book, and a great deal of common sense, as well. We have been sold, he claims, a dire vision of dementia, with the promise of an eventual cure--yet in thirty years we have made almost no progress toward that cure. What we need to do, Whitehouse explains, is take care of patients with cognitive decline, and keep them as involved in the world as possible. Our bodies break down and our minds break down, and there is much we simply have to live with. We can keep studying the problem of dementia, but in the meantime there are patients to be looked after. For anyone interested in knowing the truth about Alzheimer's disease, this is the book to read.You will not only learn a great deal about the history and current understanding of the nature of the disease, but you will also learn how the medical profession has wrongly diagnosed this dreaded disease.The most important part of the book--the last one third--provides details about how we can change the way we live in order to maintain healthy brains and thereby extend their useful life.A groundbreaking approach to truly understanding the nature of brain aging. 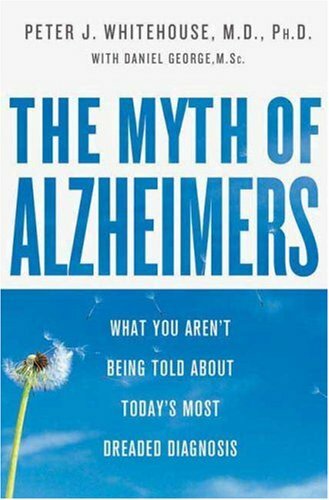 The Myth of Alzheimer's: What You Aren't Being Told About Today's Most Dreaded DiagnosisThis book totally changed my outlook on my mother's life.Dr. Whitehouse explains what is truly happening and what we can probably expect.Medicines are discussed as well as the future of 'Alzheimer's Disease'.I highly recommend this book for anyone involved in this disease. BACE (β-site of APP cleaving enzyme) is a critical component in Alzheimer's Disease (AD), and the development of BACE inhibitors shows great potential as a therapy for the disease. 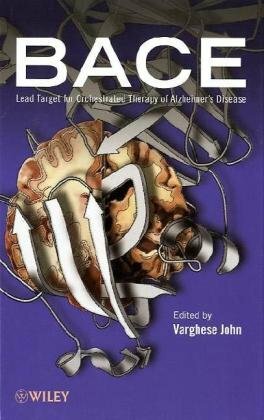 BACE: Lead Target for Orchestrated Therapy of Alzheimer's Disease covers virtually all aspects of BACE from initial identification, discovery of inhibitors, and challenges in clinical development, while providing a global understanding essential for productive and successful drug discovery. Disappointing. Weak effort from influential Mayo Clinic. Although collecting lots of decent information, way too much seems of limited relevance to the prime audience.Some of the content now seems to the lay reader rather dated. There is too much space given to multifaceted clinical dimensions and too little to support for spouses and families. But more importantly the book is poorly organized and presented. Overall it exhibits weak editing and/or perhaps the cobbling together of other Mayo publications. In itself this is unfortunate in any book but with a resource of such importance, with the imprimatur and attendant authority of the Mayo Clinic itself, it is most disappointing.I imagine thousands of libraries have purchased this book based on the Mayo name to a large extent.For one of the most pressing and heartbreaking of health issues facing America, they and their patrons deserve better. My sisters and I come into contact with many people dealing with the devastating disease of Alzheimer's.This book is one that we often recommend, especially to those that want to understand the science behind Alzheimer's.The Mayo Clinic is well respected and people feel confident in the quality of the information provided.Alzheimer's disease is effecting more families every year.It is important that we all learn as much as possible about the disease and that we share that knowledge with others.Mary ...www.alzawareness.com ....Alzheimer's Awareness Source. Excellent resource for all types of memory loss/ senility/ dementia/ stroke/ not just Alzheimer's.This book was created by thehighly regarded Mayo Clinic medical center and is meant for the average reader and caregiver. It covers the different ways in which a person can develop health conditions leading to the various diagnoses under the umbrella term: "dementia". 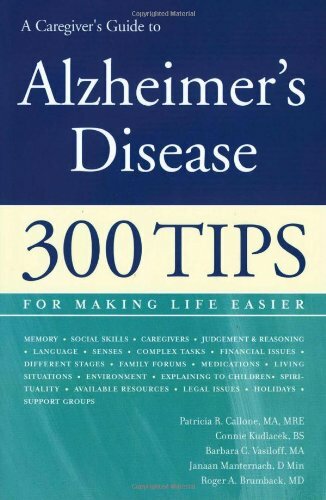 Although the book title uses the term "Alzheimer's disease, it is more fair to say anyone with a loved one with any type of dementia could benefit from this book. In general terms, anyone whose loved one is confused,is losing memory, sense of self,becoming paranoid, can no longer handle money, is no longer safe to drive, or to cook, is becoming demented. It is not about mental illness but the forms of changes in the brain at any age, (but usually old age, that leads to these losses of or changes in, identity. )Stroke, vascular disease, even small vascular 'accidents' like "TIA's", alcoholism, diabetes, head injuries, chronic Depression, are all causes, as well as true Alzheimer's disease,(100% diagnosable only on autopsy.) Parkinson's Dementia is another--almost indistinguishable from Alzheimer's but little known (and doesn't always accompany Parkinson's. )All of these lead to years of frustration for the patient as memory fades and dignity is lost, and end in tragedy in the truest sense for patient and his or her loved ones. There is no cure, only some new medications that can slightly slow the process. However this book is very helpful in having a central section specifically for caretakers, written in clear simple language, that addresses all of the main problems that caring for a memory-impaired, confused, demented person entails. Common sense ideas, down to earth and realistic are provided ("shut off the circuit breaker to stove; remove stove knobs.") Some other points to keep in mind:no one who is aging or aged AUTOMATICALLY becomes senile or confused. It is not a part of aging. If it is happening, the person should be checked out thoroughly-- medically,including screens for depression and nutritionas well. There are tests to determine cognitive loss, including brain MRI's for brain atrophy, which can be a cause of any type of dementia, not just Alhemer's Disease. Psychologic and neuropyschologic testing in the earliest stages of concern are important to differentiate between dementia and depression for example, also the earlier this is diagnosed the better, as the medications available, though not perfect, are more useful when started early. And, family can step in early while the affected member can participate and make plans for Living Wills, Durable Powers of Attorney, and all of the other highly important legal documents that are ABSOLUTELY CRITICAL or soon will be. Another point made in this book is that 5% of all people feared to have Alzheimer's or some other similar syndrome, when checked out thoroughly by medical professionals are found to have low thyroid, depression, vitamin deficiencies, low grade malnutrition, metabolic problems, or drug intoxication (the elderly are often on multiple prescription medications and over the counter medicines,and often their aging kidneys and livers do not deal with these as a younger person's would and they can build up in their system to an unsafe level.) Therefore all of these need to be ruled out first. A very thorough book, easily readable, packed full of information in only 210 pages, if you're only going to buy one book on this subject, this may well be the one to buy. This is an incredibly rich testament to the power of the human spirit, and the patient love involved in living with and caring for someone very dear who suffers from progressive dementia. As both a hospice nurse and the son of a sweet mother who recently died after many small strokes causing dementia, I am grateful for the honesty and beauty of these many poems and Tess Gallagher's very moving Foreward. Very highly recommended -- but sometimes some tough stuff in here! I am living with and caring for my 92 year old mother who now has almost no short term memory. This collection of writings from people who have experienced this difficult journey is a gift that heals, encourages, teaches, and supports my efforts to give my failing mother comfort and joy during this difficult time.I love this book! Alzheimer's steals brains. It destroys its victims and isolates their caregivers. 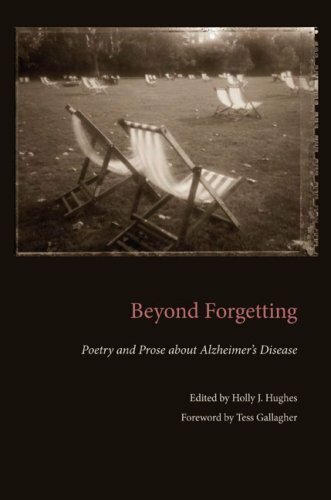 Holly J. Hughes's Beyond Forgetting: Poetry and Prose about Alzheimer's Disease shares the writings of 100 contemporary authors who have personal experience with the disease. These nurses, doctors, social workers, sons, daughters, and spouses take the reader "beyond forgetting" and into unexpected discoveries. Hughes's book would have given me a community when I thought my mother was dying one cell at a time--two years before she was diagnosed with Alzheimer's. The poems and prose tell stories of hope, love, loss, fear, bewilderment, desperation, amazement, amusement, delight and more. Each piece captures a specific memory and reflects on the impact of that moment on the patient, the caregiver, and the relationship. Candace Pearson writes about loss of language in "Another Country." Len Roberts recalls his aunt's hilarious antics in "My Uncle Chauncey drove my Aunt Eleanor." Nancy Dahlberg gives us love and role reversal in "We All Fall Down." Sybil Lockhart rediscovers her mother's physical beauty in "Naked." Donna Wahlert shares the acceptance that Alzheimer's brought her in "Late Middle Alzheimer's Disease." The experiences of these spouses, daughters, sons, doctors, nurses, and caregivers touch on nearly every emotion imaginable. The authors have been transformed by their experiences. Readers will be transformed too. Caregivers will identify. Former caregivers will remember. Prospective caregivers will get a glimpse into the joy and beauty that often emerges from pain. This inspiring book reads like a 100 snippets of memoir. Each author's brief personal story, found in italics at the end of the piece, adds a layer of context that strengthens the message. They added a level of humanity and grace that is important for other caregivers to witness. Throughout, the writing is clear, heart-felt, multi-layered, and reflective. It embraced me and made me proud of my time as my mother's caregiver. Kudos to editor Holly J. Hughes for her concept; to Tess Gallagher, who wrote the foreword; and to the women and men who shared their stories, perceptions, and memories in Beyond Forgetting: Poetry and Prose about Alzheimer's Disease. Holly Hughes has done the work for us, gathering the writing of others who name and describe the struggle and, yes, rewards of dealing with Alzheimer's Disease. As we learn in the Preface, her inspiration came close to home as she dealt with her mother, as did Tess Gallagher who provides the beautiful Foreword to the book. So many writers have dealt with this from the inside and here share their own stories. In poem after poem, they witness the confusing struggle to care well for loved ones and keep a dignity of person for both the cared for and the caregiver. In a book that is 90% poetry, I find the prose section titled "Missing Pieces" powerful as in Sarah Levitt's "Kaddish" where she wishes for a prayer to say not at the final death of the person, but each day with the small deaths of memory. Hughes has chosen to request and print a personal "note" from each writer at the end of their piece, which though reductive of the writing itself, extend the circle of caring. I thank her and Kent State University Press for having the foresight to publish a book for our times. Doing Things shows how to provide a positive environment for persons with Alzheimer's disease by offering opportunities for social interaction and constructive, enjoyable activities. Zgola outlines the ways in which a patient's functional impairment can be assessed; the strengths, weaknesses, and needs most commonly encountered among persons with Alzheimer's disease; and ways activities can be tailored to accommodate them. She offers step-by-step instructions for selecting and presenting appropriate activities and includes cooking and crafts projects, a sample exercise routine, and a sample daily schedule. The techniques she describes are designed to promote a sense of security and self-esteem, by avoiding possible sources of confusion or confrontation. 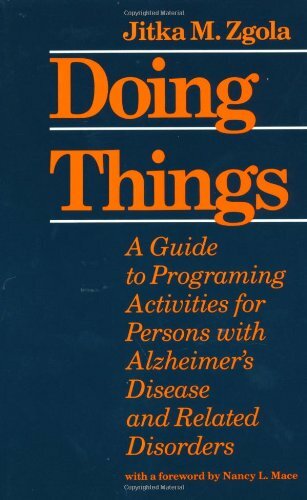 Based on the highly successful program developed at one day-care facility for persons with dementia, Doing Things offers an invaluable guide for professionals and volunteers supervising activities at day-care centers and extended-care facilities -- as well as for individuals who are caring for patients at home. Throughout, Zgola's emphasis is on treating persons who have Alzheimer's disease with empathy, courtesy, and dignity. A wonderful resource for all TR Directors in the Geriatric Setting. Evoking both tears and laughter, all of the emotions of Alzheimer's care giving are expressed in this chronicle, through moving poetry, journal entries, and photos from family albums through the years. Waiting for the Morning is a wonderfully written journal by Brenda Parris Sibley. 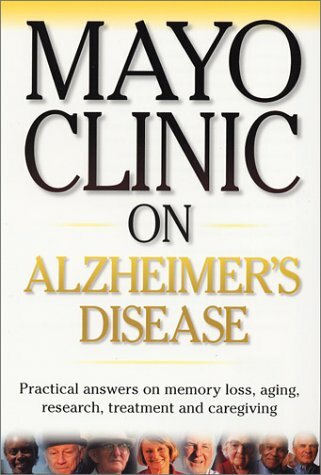 If you want to know what Alzheimer's disease is all about, this is a must read book! From the very beginning, when Brenda returns home to care for her mom, we can feel the constant roller coaster ride as she tells of her experiences. Brenda expresses her thoughts and emotions so well that you feel as if you are also right there! Her book clearly shows the love she had for her mother and the guilt which overtakes her as she cannot stop this dreaded disease. Her thoughts and feelings teach us to treasure each moment as a caregiver and the blessings that come with it. She also shows us that there is life after caregiving ends and we gradually find our way back into the world. Her poems are beautiful and the pictures make you feel as if you always knew her mom. There are many references for suggested reading, so together with her story, anyone who reads Waiting For The Morning will come away much richer and blessed! 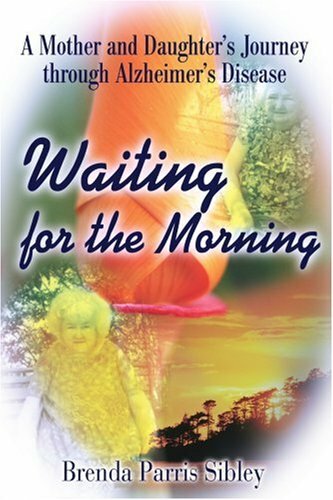 `Waiting for the Morning' accurately and honestly depicts the decline of Alzheimer's disease, each and every stage, along with the devastation imparted unto the caregiver in the process. Brenda's guilt emanates throughout: `You pleaded with me to come home, so I did. Mama's baby came home, but you don't know me. I'm too late - Alzheimer's came first.' She blames herself for the natural progression of this hideous disease; while at the same time the reader is so acutely aware of her undying love for this woman who raised her. Brenda's pain is also evident: `This is the hardest thing about Alzheimer's. Whenever she remembers that she has a daughter by my name, she worries about her - not understanding that I've been right here with her all along.' This part hit me hardest: the utter loss of her mother's awareness before her body left. Each chapter tells the tragic story of a woman whose mind is breaking; whose switches are shutting down, one by one; and of the daughter whose unswerving commitment bears the brunt and the blame for everything which happens. Brenda's book is truly about exactly what she says in the beginning `Learn from my mistakes; know that you are not alone; and most of all, cherish the time you have left with your loved one'. These words come from great wisdom, borne out of harsh experience and unfailing love; calling out to those who follow behind her in their own journeys. If you want to know the truth, read this book. Within its covers, the `way in the wilderness' will become obvious to you. Brenda lived it - with her heart's intent being that you might be spared and enlightened as a result of the words which she penned. Waiting For The Morning: A Mother And Daughter's Journey Through Alzheimer's Disease is a profound, personal testimony. Author Brenda Parris Sibly presents her poetry, caregiving journal, helpful advice for those who are struggling to adapt to caring for loved ones with Alzheimer's. Waiting For The Morning is sensitive, thoughtful, occasionally inspiring, and always highly recommended reading. Parting Thoughts: I didn't fix things/by being here,/and more of my trying/brought you much cheer./The flowers I planted/will be a mockery/if they bloom again/without you to see./There'll be no more Christmas--/no holidays again--/for you were everything/in my Christmas plans./I feel a cold chill/all the way to my soul,/but Mama, please know,/that I love you so. ..wanted to be the first to review this book! I was probably among the first visitors to Brenda Parris Sibley's web site, "A Year to Remember...with My Mother and Alzheimer's Disease," back in 1996. I had a special interest in Alzheimer's, because our family had just come through our own care-giving journey. Our grandmother, who we cared for in our home for seven years, had died in May of '96 a little over a month after Brenda's mother passed away. I visited her site many, many times over the next few years. I have just finished reading "Waiting for the Morning" and it has touched me in a way I honestly did not think it could. As far as caring for an Alzheimer's victim, I've experienced it all. All the emotions; the guilt of not being patient enough, the longing to bring this person back, for just a little longer, that feeling of being "in control" one day, and in the depths the next, not knowing how I would survive another minute. Yet, while reading Brenda's journal I found myself snickering, remembering the silly moments, and holding back tears recalling the heartache. I was right there in that little house with her, loving her Mom and feeling the emotion of every stage of this cruel disease. For some reason it was a good feeling. Maybe like surviving a battle and feeling camaraderie with a fellow soldier. How I would have loved to read this book while I was caring for "Gram"! Brenda is learning as she goes along, trying different things to make her Mom comfortable, recording it all in her journal. She shares information she has read, and tries to figure out the things that seem to cause her mother's agitation so she can avoid them. It is very informative, and I believe would be a very comforting support to any caregiver. Just to see that what they are experiencing with their loved one, although so very difficult, is not unusual and that the resulting emotions they feel are normal as well. But I now realize-even more than before- that Brenda and I were "in the trenches" at the very same time, learning and failing; but coming through it with stories that will hopefully make the way just a little more comforting to those going through it now. Brenda's poetry is so wonderfully honest and touching. I am filling up with tears just thinking about it. It is really special. It was very moving to read of Brenda's grief, and how she worked through it. Isn't it amazing that this very difficult and life changing experience has resulted in the development of the web-site that many would consider the "hub" of all the Alzheimer's care giving sites? What a wonderful memorial to her Mom, and a victorious overcoming of such a difficult experience. .......Thank you Brenda for all of your efforts! I found this book to be very well written, easily understood, and very informative.It is the best book on Alzheimers that I have read so far. 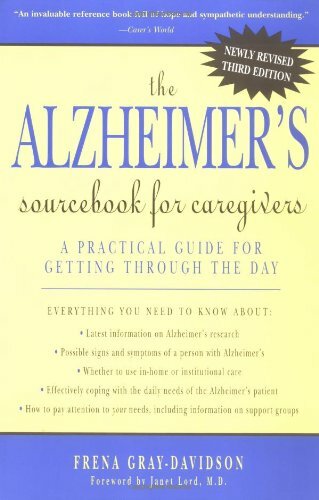 This book is a must have for caregivers or anyone who has a family member with Alzheimer's.You can read it through or just pick out chapters that will help you at the time, but the biggest help to me was Chapter 12 about Approaching Death. It gave me the comfort and help that I needed.I've read many books on the subject, but this has been the most helpful yet because it is based on love. This is the book that changed everything for me. Its about approaching this disease with Love, Strength and Courage. Frena shows you how to get thru a day at a time and most of all how to keep yourself intact. We get lost in this disease, it consumes whole families. She shows you how to listen, your loved one is still within this person afflicted by this disease,you just have to listen carefully and you will see the person you love is still inside and has alot to tell.She shows you how to cope. Frena is my strength, she gave me the tools from reading her book 3 years ago. This book is my foundation and Frena is an angel. No other book affected me as much as this one. If you want to truly understand this disease, this is it! 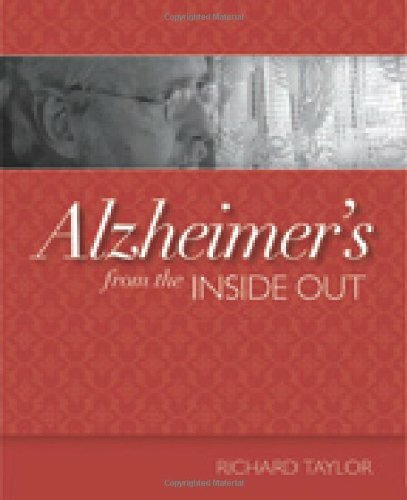 For anyone with a loved one suffering with Alzheimer's this is the book to get. It will help you understand the disease and how to cope. Written in everyday language it is packed with information on the stages these victims go through and how you can help them. One of the best I've read! This is a tremendous resource for people who believe in the healing power of Love. Frena Gray Davidson has written a very spiritually centered book that will inevitably help any caregiver and their loved one. She speaks about how we'll see the "divine child" untouched by darkness or sickness - our loved one - emerge in this process. And she states that we must listen to the feeling behind the words. That little statement has changed my life. When someone asks for their mother, who may have passed on decades earlier, they're really seeking comfort and security and reassurance. We need to hear their feelings that lie in back of their words. She goes on to say that 30% of language is verbal, the rest is expressed in body language and behavior. Further on she makes the observation that Alzheimer's patients are sensitive to the thoughts of those around them and to always give plenty of Love, both in word, action and thought. The other wonderful point she makes is that so much of our disappointment in Alzheimers patients is tied to our notion of their "proper" mortal identity. Your mother doesn't know she's your mother anymore, but you can value and cherish who she is in the here and now. Don't live in the past but nurture the childlike qualities she is expressing in the present. Very informing book on this subject. that I read "THE 36 HOUR DAY." caring for her now deceased father who had Alzheimers, My Mom also has it, and is in a nursing facility. The information in this book is essential for anyone either caring for a loved one that has this devasting disease, or that knows someone who is. It is informative,timely, and concise. It is easy for the layperson to read and understand. I highly recommend it!